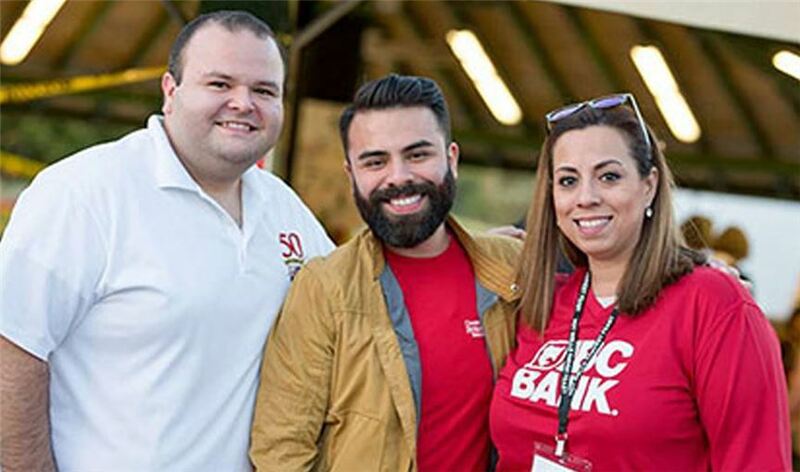 IBC Bank Officers Abe Benavides, David Solis and IBC Bank-San Antonio Vice President Jennifer Martinez-Muenchow volunteer at the 5th Annual Harvest Fest. IBC Bank-San Antonio recently teamed up with the Hot Wells Conservancy for the 5th Annual Harvest Fest. The festival supports the Conservancy's mission of revitalizing the Hot Wells ruin as a destination point for education, business and outdoor activities. As a part of their commitment to do more for the communities they serve, IBC employees have donated their time as volunteers for the Harvest Fest since 2014. IBC Bank-San Antonio Vice President Jennifer Martinez-Muenchow served as the event's volunteer chair. Jennifer Martinez, IBC Bank-San Antonio Vice President.